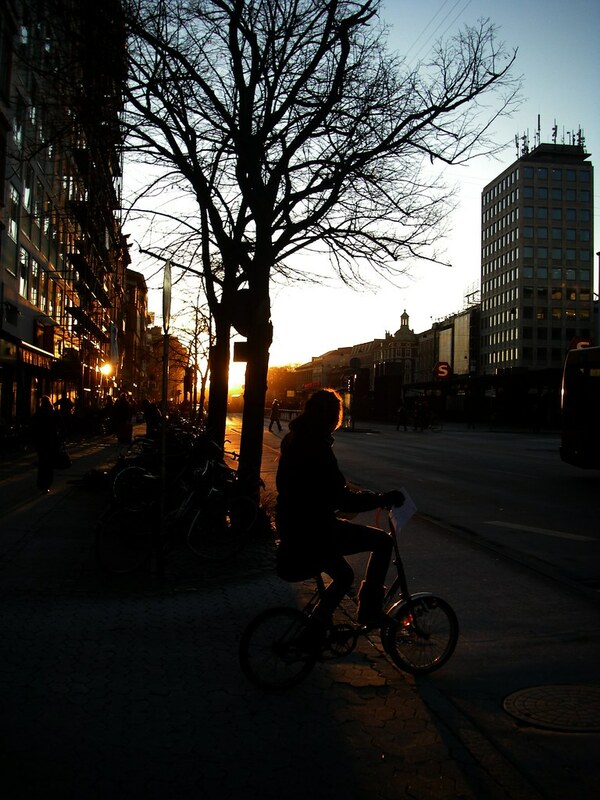 Continuing the recent moody theme, here's a couple of shots featuring the low winter sun of Copenhagen. 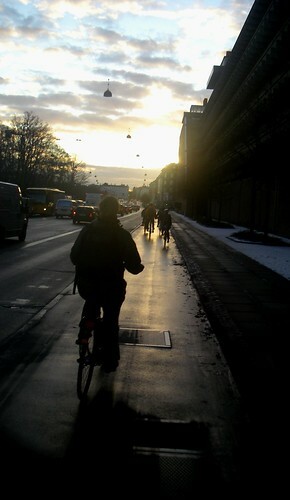 Sometimes the morning sun lends a bit of magic to the everyday commute, letting the wet bike lane glow and reflect the cyclists as they roll on through the city. Low afternoon sun casting long shadows. What are those things hanging over the street? i love those lights. when it's windy at night, they dangle and make the light change.